This page presents three of Star Clippers' cruise sailing ships. The ships are of recent build. However, whenever weather conditions permit, the ships rely on their sails rather than their diesel engines for propulsion. Star Clippers places less emphasis on scheduled activities than most lines and offers a relaxed environment. 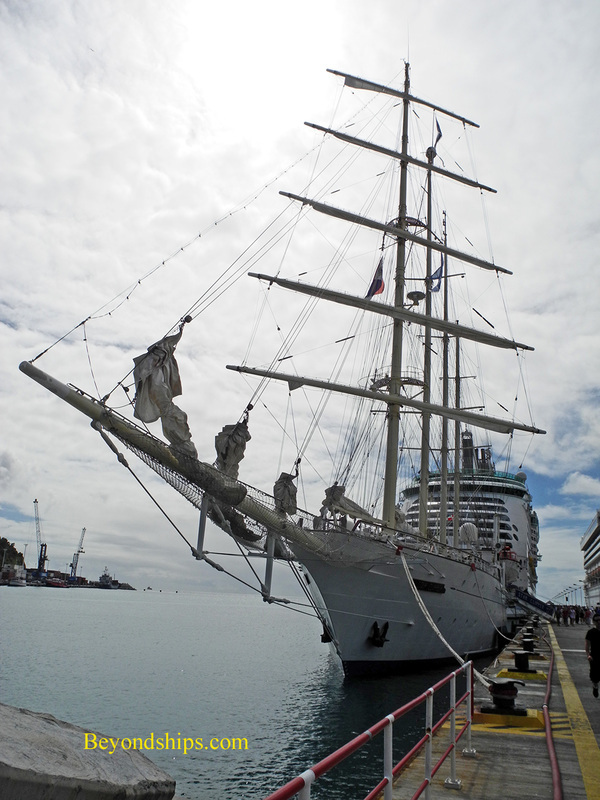 Among other things, passengers are able to climb to observation areas on the masts at the first yardarm. 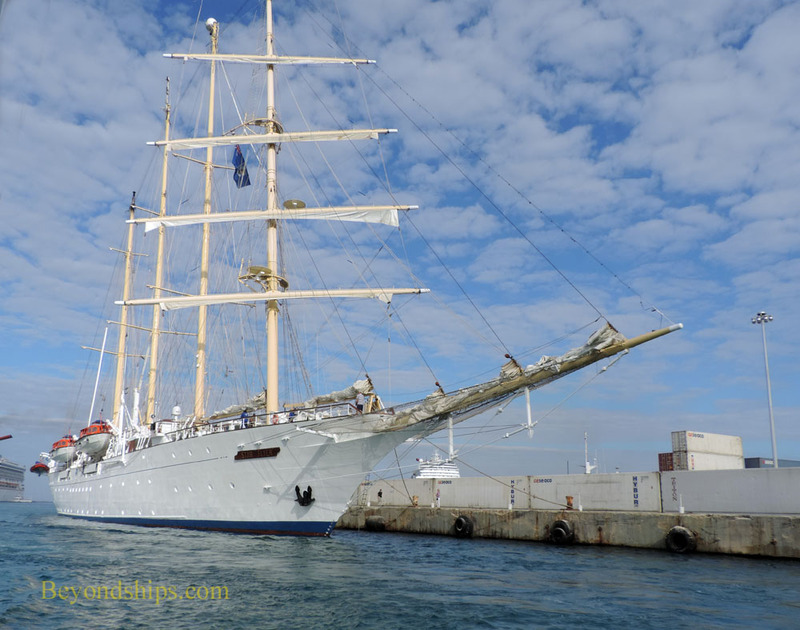 Royal Clipper is the flagship of the Star Clippers fleet. 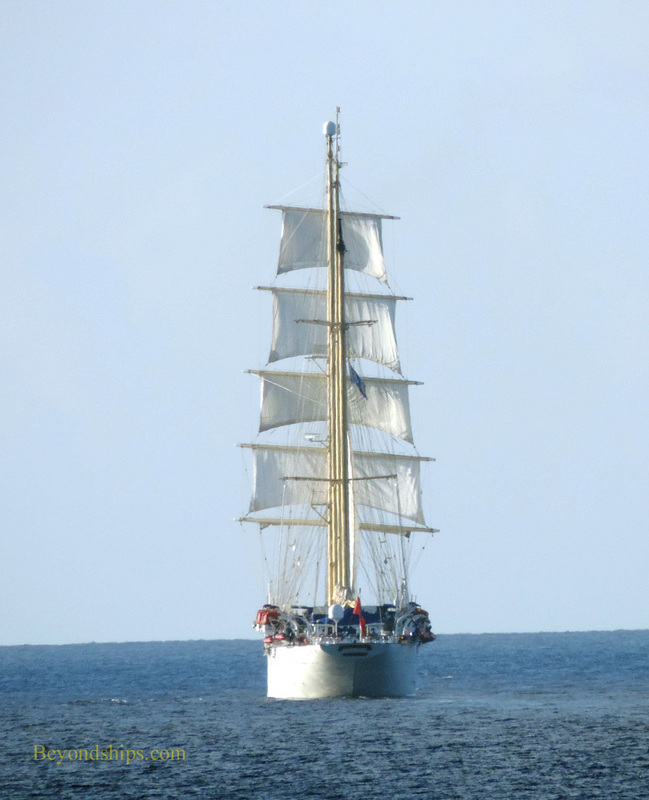 Entering service in 2000, she was the first five masted, full-rigged sailing ships to be built since 1902. Although Royal Clipper was inspired by the ships of the past, she has some very modern amenities including three swimming pools, a spa, and a marina platform that is lowered from the ship's stern. 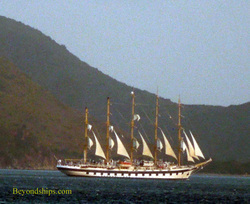 Star Clipper was the second ship built for Star Clippers, the first being sister ship Star Flyer (below). These ships were the first clipper ships since 1911 to be granted the certificate of Sailing Passenger Vessel (S.P.V.) by Lloyd’s Register of Shipping. Star Clipper has four-masts.